Wolfsburg held Köln to a goalless draw when the sides met on Matchday 2. 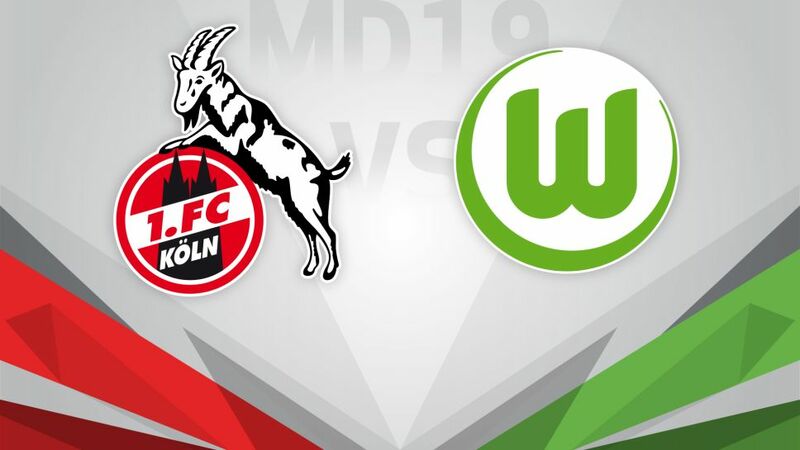 1.FC Köln will have their eyes on moving back up into the European places when they host VfL Wolfsburg on Saturday (kick-off 15:30CET/14:30GMT). Click here to make use of your three Official Fantasy Bundesliga transfers before Matchday 19! The Billy Goats will be keen to build on the momentum from their 6-1 thrashing of SV Darmstadt 98 on Matchday 18, which included a brace from Yuya Osako and Anthony Modeste’s 14th goal of the season so far. That win boosted the goal difference for Peter Stöger’s side, who are just one point off sixth place going into Matchday 19. An encouraging three-match winning streak had moved the Wolves away from the relegation zone, but they slipped back after a 2-1 defeat at home by FC Augsburg last time out, despite going ahead early thanks to Mario Gomez. They will be aided by the return to the club of attacker Ashkan Dejagah, who helped Wolfsburg win the Bundesliga in 2009 and re-signed on a free transfer earlier this week.